"The timeless charm of wooden flooring"
Wood is commonly used in all period homes, especially in areas of the country where stone was not easily available. As flooring material, wood has always been appreciated for its durability and good looks. Nowadays wood has another important virtue, eco – friendliness. In comparison to other construction materials which create carbon dioxide in its manufacture and transport. A tree absorbs the gas from the atmosphere as part of the respiration process. This would normally be released when the tree dies and rots, however as the wood is preserved , the carbon is locked away. For any installation, this is a benefit, especially so when it is a reclaimed material and being recycled, its footprint is much smaller, dissipated over time. In the 15th and 16th century, early floorboards were often made of oak measuring up to 18 inches in width. Producing the planks involved splitting, hand sawing or axing the timber into planks. The varied widths and thicknesses of the boards meant that they had to be trimmed or propped up underneath as otherwise the floor would not be level. Being durable and denser, Hardwood has always been preferable. Elm boards were common in the 17th century but pine and other cheaper softwoods were used when elm boards became less readily available. In the 19th Century timbers came from slow growing mature trees , producing harder and more durable After machines were introduced in 1790, they were later developed to become more consistent in production which led to tongue and groove boards which could be slotted together and nailed. 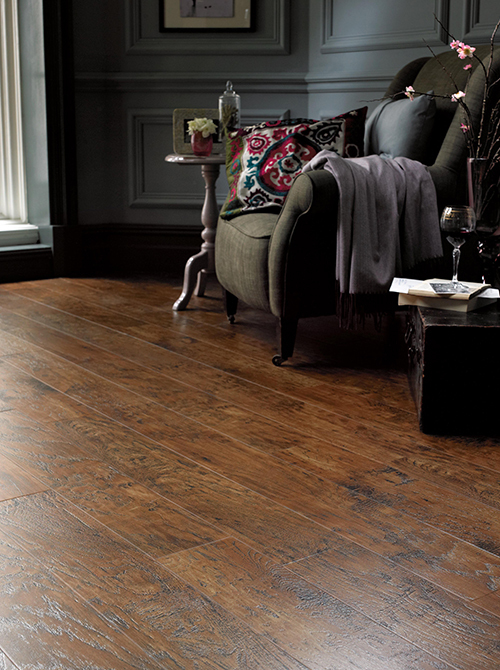 Today, wooden floors still have a universal appeal as they are practical, stylish and have a timeless charm. Floorboards are likely to be damaged when they are lifted by electrician or plumbers. Woodworm can also be a problem if the floor is damp however; woodworm rarely survives in dry environments. Small stones and grit can scratch a wooden floor therefore it is very important that it is regularly vacuumed. Protect floors with plywood sheets when any building work is being completed. Old finishes are attractive and when a floor is sanded and restored it does not often match the original charm of the floor. When exposed to the sun, the wood can also become darker. If the decision is made to sand floorboards, it is wise to hire a drum sander as well as a small rotary sander. 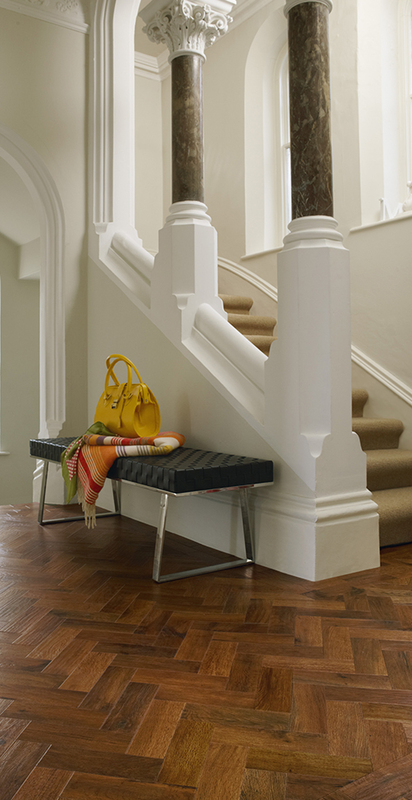 Beeswax is an original finish for wooden floors, however requires frequent maintenance. Another option is hard wax oils which can be reapplied regularly or alternatively lacquer is harder wearing option.